Welcome to our resources center. Here you will find a growing database of resources to help answer questions you may have. A casualty is the damage, destruction, or loss of property resulting from an identifiable event that is sudden, unexpected or unusual. View entire article. Victims of the severe storms and flooding that took place beginning on October 1, 2015 in parts of South Carolina may qualify for tax relief from the Internal Revenue Service. View entire article. 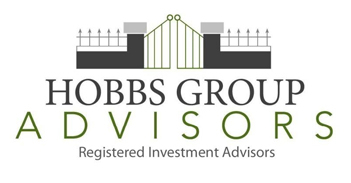 Hobbs Group Advisors, LLC is a comprehensive financial planning firm and South Carolina State Registered Investment Advisor headquartered in Columbia, SC. We provide fee-based financial planning and investment management services to individuals, families, small businesses, corporations, and non-profit organizations. Copyright 2016, The Hobbs Group. All Rights Reserved.